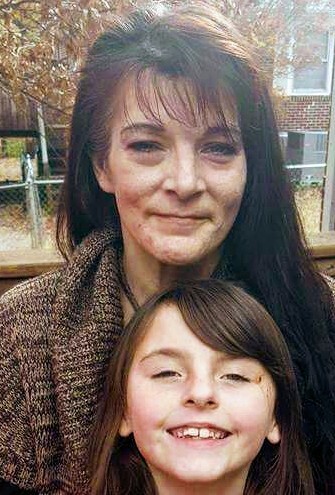 I’m Melody Cashion, and I have Charcot-Marie-Tooth (CMT) disorder, and I am about to go to jail for illegally using medical cannabis in Tennessee. Pharmaceuticals have terrible side effects, including a very high probability of opioid addiction because I am in so much pain. I needed my life back, so I tried medical cannabis and it was amazing at how much it helps. It was a great feeling to have help for the spasticity issues, and to have minimal levels of constant pain. I wasn’t doped up from the opioids, and I was able to be a better mom because I wasn’t hiding in bed balled up in pain. Unfortunately, I got in legal trouble for a small amount in Bedford county, TN. I got a non alcohol DUI. I originally pled out, which meant I had to pay for a restricted driver’s license. Then I had to make a 40 something mile round trip once a week for probation meetings for a year, and 48 hours in jail. I was paying on all my fines and costs regularly, and going to my meetings like I was supposed to. Unfortunately, I ended up in the hospital with renal (kidney) failure from the side effects of the pharma medicines. I was in misery, and I broke down and used some medical cannabis to ease the pain and be able to keep food down so I could recuperate. Then they decided to do a random urine test, and since cannabis is illegal in Tennessee, it tested positive for THC and violated my probation. On February 24th, I’m going to be standing in front of the Honorable Judge Charles Rich in the Bedford county courthouse. He will decide if I will serve 30 days in jail. That means that 3 weeks after losing my BFF of 20+ years to cancer, I’ll have to leave my daughter and go through withdrawals from my legally prescribed opioids that they don’t give inmates. Does that sound fair to you, considering cannabis medicine works, doesn’t kill people and is natural? The not so funny thing is, my doctor never had a problem with my medical cannabis usage. Even worse, I now get Marinol by prescription, so I legally am using the same THC that’s getting me locked up for using in its natural state. It’s funny how when it costs $407 for a prescription of it from Walgreens, it’s medicine……but in natural plant form it’s criminal. Tennessee needs to get a medical cannabis program, so patients are not being treated like criminals, and ruining their finances and lives over a plant medicine safer than Tylenol.